“A fascinating analysis examining the core of Christian orthodoxy; where denominations within the true Church ends…and a cult begins. My posting of this video is not a blanket endorsement of any of the people who appear in it nor The Apologetics Group ministry. I do not endorse or recommend any participants in the video nor the organization which produced it insofar as any of them deviate from my beliefs as stated in the Statement of Faith and Welcome tabs at the top of this page. Am I Really Saved? Checkpoint 6: Do I want to be faithful to a doctrinally sound church? Children, it is the last hour, and as you have heard that antichrist is coming, so now many antichrists have come. Therefore we know that it is the last hour. 19 They went out from us, but they were not of us; for if they had been of us, they would have continued with us. But they went out, that it might become plain that they all are not of us. 20 But you have been anointed by the Holy One, and you all have knowledge. Let’s start off by looking at a few words in verses 18 and 19: “children,” “antichrist,” “antichristS,” and “they”. It’s always helpful to keep in mind who the audience of a passage of Scripture is. “Children,” as I mentioned last week, reminds us that John is addressing the church, his “children” in the faith (which, by extension, includes Christians today). Apparently, the church had already been taught that Christ would be coming back and that the antichrist would be making his appearance before the Lord’s return. This antichrist is the one-world leader who will fight against and attempt to overthrow Jesus at the end of time. But just as John has children in the faith, the antichrist (Satan) also has children, and these are the “many antichristS” to whom John refers. These were people, who at one time had been meeting with the church and seemed to be Christians, but who had left the church and become (or joined with) false teachers (see lesson 1 for more info.). This is who “they” in verse 19 is referring to. 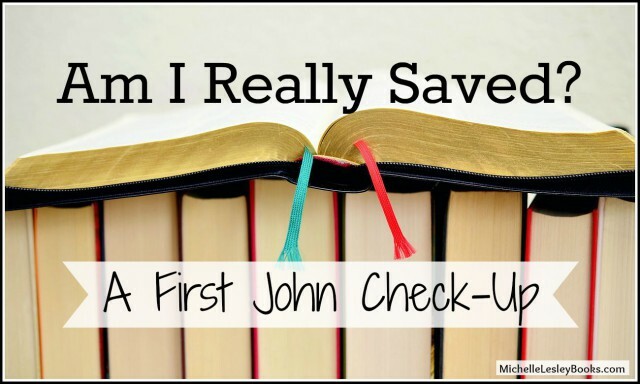 John is making clear to the church that those who leave the fellowship of biblical Christianity to follow false teachers and teachings do so because they were never truly saved (“not of us”) in the first place. This is one way we can tell (“that it might become plain”) who is a believer and who is not. Those who are saved desire to stay in fellowship and assembly with a doctrinally sound body of true believers. Have you left sound biblical doctrine behind to follow after false teachers (for example: Joel Osteen, Joyce Meyer, TD Jakes, Beth Moore, Paula White, Benny Hinn, etc.)? Do you argue with biblically knowledgeable Christian friends who show you from Scripture that you’re following a false teacher? …you’re not sure you believe in God, the truth of Scripture, or that Jesus is the only way of salvation any more? …what your professors are teaching, what your friends believe, or the tenets of a group you’ve joined seem to make more sense than the Bible? …you’re just not interested in church any more and have better things to do? …you’re tired of feeling guilty for participating in your favorite sin? Do you love fellowshipping, worshiping, and studying God’s word with other believers? Do you faithfully attend (a doctrinally sound) church because your heart craves it? Would you rather hear sound teaching in which God’s word steps on your toes than false teaching that tickles your ears? Am I Really Saved? Checkpoint 7: Do I believe in the Jesus of Scripture? I write to you, not because you do not know the truth, but because you know it, and because no lie is of the truth. 22 Who is the liar but he who denies that Jesus is the Christ? This is the antichrist, he who denies the Father and the Son. 23 No one who denies the Son has the Father. Whoever confesses the Son has the Father also. 24 Let what you heard from the beginning abide in you. If what you heard from the beginning abides in you, then you too will abide in the Son and in the Father. 25 And this is the promise that he made to us—eternal life. Here, John continues to explain to the church what constitutes an antichrist and why antichrists are not believers. Notice what he says in verse 21, “no lie is of the truth.” It seems like such an obvious statement, but have you ever said, when told that a teacher you’re following teaches things that are unbiblical, “Oh I just chew up the meat and spit out the bones”? John is saying that if the teacher you were following were biblical, there wouldn’t be any bones to spit out. Doctrinally sound preachers, teachers, and authors might make a mistake and repent of it from time to time, but they don’t persist in teaching lies. No lie is of a true teacher. Another thing to take note of in this passage, again, is that John is talking to believers. When he uses words like “Jesus,” “Christ,” “Father,” and “Son,” they, and we, understand that he means Jesus, Christ, Father, and Son as defined in Scripture alone. Even as early as John’s day there were false teachers who led people to believe in a Jesus who was a mere man, others who taught he was only God at certain times, and others who completely twisted the biblical definition of who God and Jesus are. It’s the same today. Mormons are one good example. They say the believe in Jesus, but they aren’t using the biblical definition of who Jesus is. They’re using the Mormon definition of Jesus, the spirit brother of Lucifer, born of a sexual relationship between God and Mary. John is saying that if you deny the Jesus of the Bible, you are not a Christian. The God I believe in would never send people to hell. Jesus was just a good moral teacher. God is love. He forgives everybody. Jesus just wants people to be happy. He would be fine with me divorcing my husband/being a homosexual/living with my boyfriend/not attending church/etc. What is “what you heard from the beginning” in v. 24, and what does it mean for “what you heard from the beginning” to “abide” in you? How does this phrase/concept help John pivot from talking about what an unbeliver is to what a believer is? What is the “if/then” statement John makes in verse 24? What does God promise in verse 25 to the “then” people? John uses the word “abide” several times in verses 26-28. Examine his meaning in each use of the word. What does verse 28 say the ultimate result of abiding in Christ will be? Am I Really Saved? Checkpoint 8: Do I practice righteousness? Last week we were careful not to get the cart before the horse in that it is not good or righteous behavior that turns someone into a Christian. It’s the opposite. Genuine, visible righteousness springs from a heart that has truly been born again. John also makes sure we know he’s talking about habitually being righteous like Christ was righteous. Remember, the Pharisees acted righteous, and Jesus saw right through them and gave them a piece of His mind. Describe what it means that Jesus is “righteous”. What are some Scriptures that show how Jesus’ righteousness manifested itself during His earthly ministry? Is Christlike righteousness a habit that springs from your heart because you love Jesus? What are some ways you see the righteousness of Christ working itself out in your daily life? Do you ever find yourself having to “put on” outward righteous behavior in front of others to keep up the appearance that you’re a Christian? Do I want to be faithful to a doctrinally sound church? Do I believe in the Jesus of Scripture? A saved person will be able to honestly answer “yes” to all of these questions. While none of us are perfect at it, we trend towards a desire for righteousness of both heart and behavior. We love the Jesus of Scripture and the churches, pastors, and teachers who dare to teach Him in all of His glorious truth and splendor. An unsaved person might be able to put on righteous behaviors, but has no righteousness of heart, because she is still dead in her trespasses and sins. She may believe in a “Jesus” who conforms to her own opinions and worldly standards, but not the true Jesus of Scripture. And she certainly has no desire to attend a doctrinally sound church where her self-made label of “Christian” or “good person” will be challenged by a call to repentance and faith in the true Christ of the Bible.